Monroe, WA (July 28, 2018) Running a part-time schedule for car owner Ryan Zahnow, Travis Bennett (Ellensburg, WA) returned to victory lane in the Central Welding 125 at Evergreen Speedway for race #4 of the Northwest Super Late Model Series, Inc. (NWSLMS) in 2018. This marks the first time the series has run with the Speedway Chevrolet Super Late Models since the 2015 season. 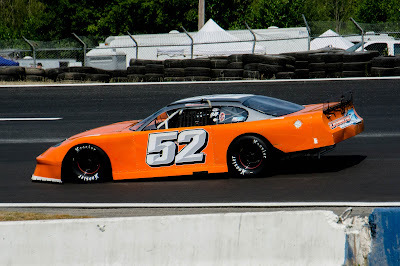 Bennett made his comeback victory in fitting style and on the NASCAR Northwest Tour Throwback night, bringing him back to his glory days on the Tour. Tyler Tanner (Seattle, WA) and Jeff Knight (Lake Stevens, WA) followed Bennett across the stripe to collect the final podium honors. Starting on the pole, courtesy of an eight-car invert drawn by fast time qualifier Tayler Riddle (Naches, WA), Bennett was able to lead the feature wire to wire. Challenges came early in the race by Zack Beaman and Doni Wanat. Several cautions and subsequent restarts allowed Bennett to keep the preferred groove and the lead. When Beaman and Wanat got together battling for second position, which resulted in Beaman spinning and losing a lap, the two were forced to go to the rear, giving Bennett some much needed breathing room. Wanat would make his way back through the field to finish fourth, while Beaman’s night ended early. The incident also collected series regulars Riddle and Trenton Moriarity (Monroe, WA). Moriarity suffered only minor damage and was able to finish all 125 laps in the 7th position. Riddle’s night was over, as he was forced to the pits with damage. 2017 Season Champion and current point’s leader Brittney Zamora worked her way up after contact with Jessie Jensen sent her to the back of the field early in the race. She was able to overcome the deficit and take home the fifth position for the day and gained points on Andy Sole (San Tan Valley, AZ) and Riddle. 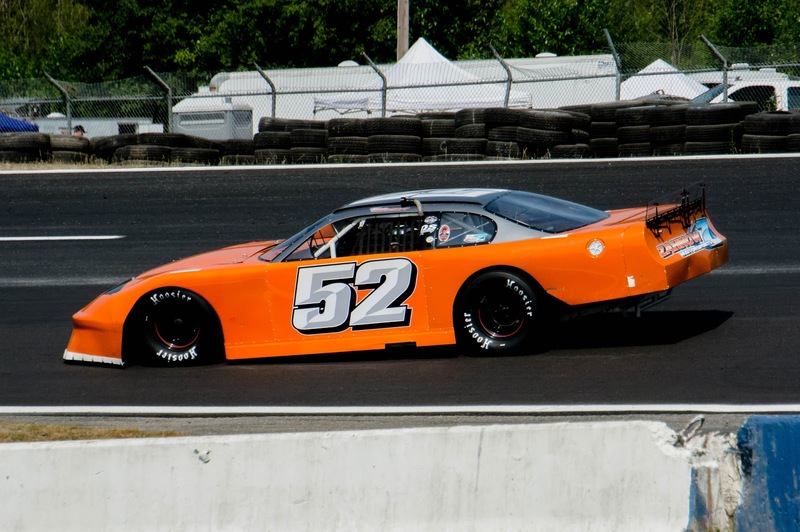 In his final start at Evergreen Speedway, Pete Harding had hopes of going out in style. Unfortunately, Harding lost oil pressure before the green flag and retired early. Harding’s final race will be the Yakima Speedway Fall Classic in October, as he turns over the driving duties to his grandson Stewart, while he puts on the crew chief hat.